Dyneema SK78 is a high performance fiber, combining high strength and minimal creep. Ocean 3000’s upgraded coating ensures good UV stability and enhances abrasion resistance. Categories: Rope, Dyneema Ocean 3000. Ocean 3000 Dyneema Rope is manufactured as a general purpose high strength line using SK78 fibers. Dyneema® SK78 is the high performance fiber which many applications build on, its exceptional strength to weight ratio allows for a durable line at a competitive cost. Robline’s upgraded SL coating ensures good UV stability and enhances abrasion resistance. Ideal for use wherever high strength and low stretch is required. 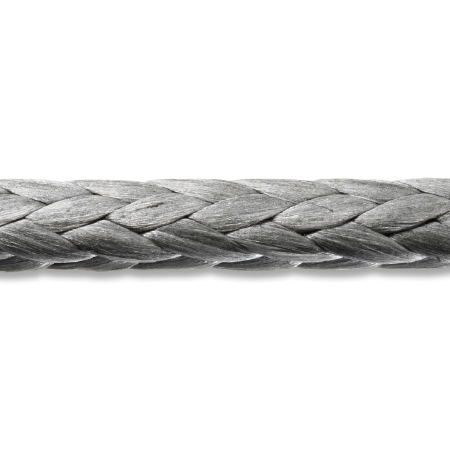 Ocean 3000 is a 12 strand Dyneema product that can replace wire rope in most applications. It offers superior strength to weight ratios, easier handling, it floats and is spliceable in the field. It is lighter than steel, easier to transport and safer to use when working above ground for pulling cables.